an interest in the life of a child! to crochet the logo for a very dear friend. All help is needed. Please HELP! Hello, I am seeking a pattern for a baby sweater that is crocheted in a ripple stitch. I saw a sweater like this recently, but could not find who or how it was made. I like to make afghans in the the ripple stitch, so I think I can make the sweater if I can find a pattern. Any assistance would be greatly appreciated. Thanks! and realizing you were the prisoner. - Max Lucado "
HE NEVER BRINGS IT UP AGAIN." This quote is from Our Daily Bread - April, 2008 Issue. God bless and protect our soldiers! Who was the son of Amoz? I used the "sugar water" recipe to stiffen two flower girl baskets for my sister in law's wedding. enough before you try to put your hands in it - it could blister your skin ! Always carry an extra ball of yarn and a crochet hook in your project tote. When someone is curious about how to crochet you can let them use your extra supplies to learn. First let me say THANK YOU this site is utterly awesome. Not only the tips on crocheting but the inspirational word on our Lord and Savior, Imagine a site that allows you to speak and read about our Lord when our own courts in this wonderful country of ours doesn’t allow it. I do have a question does anyone have a pattern to make a good size teddy bear (something easy please). Thank you in advance and please keep up the great work. nice site---keep up the good job. 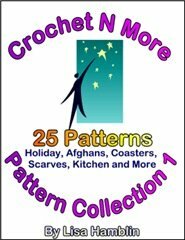 I just wanted to thank you for your "Haley's Diagonal Cape" and "Hollow Cross Bookmark" patterns. They look wonderful. I search the internet for free shawl patterns and this one will be great! I use the patterns for our prayer shawl ministry. We are a group of about eight; we just started our ministry in February and have already presented 16 shawls. Our group is called "Sacred Stitches". I thought the Hollow Cross Bookmark would look nice attached to a shawl, along with a small presentation card that had a prayer and the care instructions on it. I hope to try the patterns very soon. 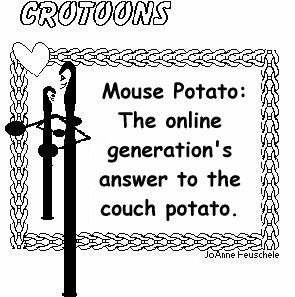 Hi- I didn't find any errors but I wanted to say that I LOVE your site! I'm a kid and my grandmother taught me to crochet and I'm finding every kind of cool pattern! Thanks so much! Glad you are enjoying Crochet N More. This was one of my first pattern designs. Turn bootie inside out. Holding top and bottom of the toe together, sl st the corresponding stitches together to close the toe. Fasten off and weave in the yarn tail. Turn bootie inside out again. Yes... the corrections are noted in the pattern in a different color font. Hope you enjoy making the booties! NOTE: All pattern corrections are listed on the actual pattern page. Subject: Urgent assistance needed big big big please!!!!!!!!!!!!!!!!!!!!!!! I need to get this finished asap as I have the baby shower soon. 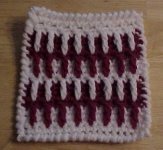 All you have to do is work an extra double crochet in the last stitch on the row... so instead of working one double crochet in the last stitch you work two which will gradually increase the sleeve. Hope this helps. 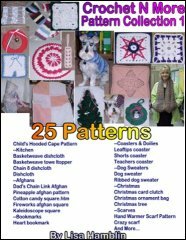 Feel free to use my patterns to make items for gifts or for sale. All I ask is my patterns not be sold and a link to my site be included with each item made. Thanks for asking and have a glorious day in Christ! I've never actually enlarged the puff stitch baby hat but you should be able to make a larger version by increasing your hook and/or yarn size. You can also add additional stitches evenly like we do in Round 4 throughout the hat. When that portion of the hat is large enough then you can continue beginning with the puff stitch round (round 18). As long as you end up with an even number of stitches after R20 then R21 should work out ok.
"Your hearing is perfect. Your family must be really pleased that you can hear again." The gentleman replied, "Oh, I haven't told my family yet. I just sit around and listen to the conversations. I've changed my will three times!" Brendan had spent a week visiting his family. His sister-in-law and seven-year-old nephew went with him when he returned to the airport. After verifying his seat number with the counter attendant, Brendan walked back to his relatives and stated that he'd have to wait an additional three hours in the airport. "How come?," his nephew asked. "My plane has been grounded," Brendan explained. "Grounded?" the little boy said. "I didn't know planes had parents." After eight years of marriage, my husband and I decided to make some changes in our lives. He went on a strict diet - he would eventually lose 50 pounds - and I took a job in a small diner. After my first day at the diner I returned home from work and gave my husband a big hug. He seemed to cling to me longer than usual. "Did you miss me that much today, dear?" I asked. "No," came the reply, "but you smell so much like pancakes that I hate to let you go!" When the family car developed a slight knock, the wife asked her husband if he had bought regular or premium gas, but he couldn't remember. "You probably got the cheaper gas," she said. "That could account for the engine running so rough." "No, the gas wasn't cheaper!" he replied indignantly. "Well, how much did it cost?" asked the wife. "It cost the same as always," said the husband. "I bought the usual ten dollars worth." "The answer to this last question will determine whether you are drunk or not. "Every afternoon your dog comes to my house for a nap." At the airport check-in counter, I overheard a woman ask for window seats for both herself and her husband. The clerk pointed out that this would prevent them from sitting together. "Sweetie," the woman replied, "I've just spent 10 days of quality time in a compact rental car with this man. I know what I'm requesting!" My employment search preoccupied our family for months. One day my husband told our three boys that to make things easier for me, he had a list of jobs for them. They were all silent until our six-year-old spoke up: "When are the interviews?" A nurse on the pediatric ward, before listening to the little ones chests, would plug the stethoscope into their ears and let them listen to their own hearts. Their eyes would always light up with awe, but she never got a response equal to five-year old David's comment. Gently she tucked the stethoscope into his ears and placed the disk over his heart. "Listen", she said..........."What do you suppose that is?" TRUE STORY- What a Day!